1Water Pollution Research Department, National Research Centre, Giza, 12622, Egypt. 2Holding Company for Water and Wastewater, Giza, 12577, Egypt. 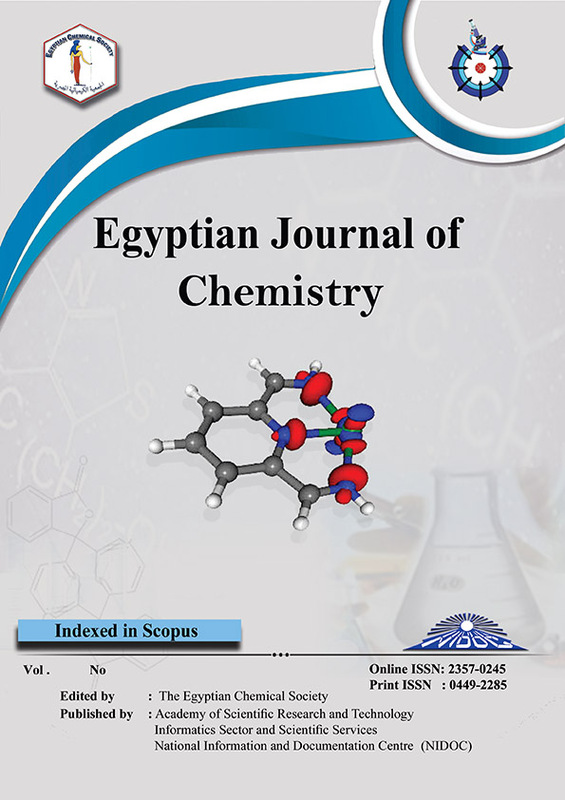 3Chemistry Department, Faculty of Science, Ain Shams University, Cairo, 11566, Egypt. This study aimed to emphasize the effect of hexavalent chromium Cr (VI) on the performance of a pilot scale hybrid up-flow anaerobic sludge blanket (H-UASB). The system was packed with non-woven poly ester fabric (NWPF) and continuously fed with real municipal wastewater at a hydraulic retention time (HRT) 7.5 h and average organic loading rate (OLR) 1.24 Kg COD m3/d. The system achieved satisfactory removal rates for total suspended solids (TSS) (86.44 %), chemical oxygen demand (COD) (74.18 %) and biological oxygen demand (BOD5) (84.8%) without the addition of Cr (VI). Results indicated that feeding the reactor with different concentrations of chromium ions ranged from 0.1 – 1.3 mg/l (i.e: 600 mg / m3. d to 6000 mg / m3. d) decreased the residual concentration of Cr (VI) in the final effluent to 0.019 mg/l, while the accumulation of chromium ion increased in the biobed (160 mg/kg) and in excess sludge (165.44 mg/kg). This was due to the biological reduction of Cr (VI) to Cr (III) by the action of sulphate and chromate reducing bacteria. Increasing the concentration of Cr (VI) up to 6000 mg / m3. d reduce the biochemical reactions of the anaerobic microorganisms and consequently decrease the removal efficiency of TSS from 86.44% to 62.06, COD from 74.2 % to 57.07 % and BOD5 from 84.8% to 61.92%.